Thanks for your urgent response to my email. As I told you in previous mail, my deceased client, Mr. Abel has been on my firm's legal retainer ship service from the 24th September, 2001. In his assessment form he did not introduce any family living with him at that time in the United Kingdom, Only a part of his business and his Philippines origin. I am not on facebook. My firm has been representing him and his business in legal and allied matters up till the time of his death. 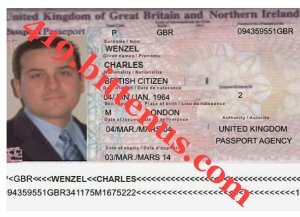 I want to let you understand that this is a deal, my client may not really be your relation but bear the same surname with you but what is important is for you to show interest and provide me with your information then I will present you as the next of kin with proper proof and back up. I have written a letter to the Bank informing them that a relative of my late client has enquired about his estate and he is ready to make claims on them and the bank has no problem with that so long as I present the person with proof and legal backing. For us to proceed on this send your full name, your office and residential address, Telephone and fax number..On the sharing formula I do not want to sound greedy, since both parties are playing major role in this deal, let it be 50/50%. I will furnish the procedure involved once I get a feedback from you on this response.